Sharpee stays at the update Polynesian Village Resort at Walt Disney World in the Villas. The rooms at the Polynesian resort are beautiful but the noise from the fairy boats is bothersome if you have a room close to the Disney ticket and transportation center. The lake views are wonderful, but take the boat noise into consideration when booking the Disney Polynesian Village Resort. 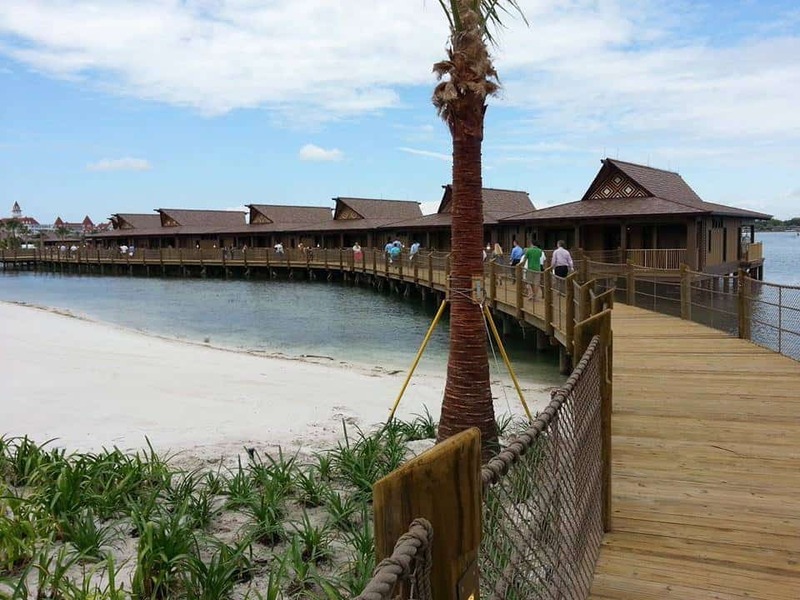 If you are planning a vacation at Disney’s Polynesian Village Resort please listen to our Mouse Chat podcast. We have stayed in the rooms and have some expert tips in this episode that will make your stay that much nicer. To book Disney’s Polynesian Village Resort please contact Pixie Vacations. 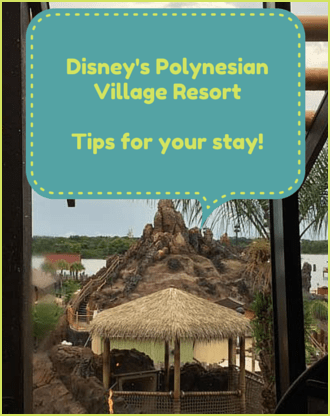 They will check all the Disney World Polynesian Resort specials and make sure you get the right Disney vacation package for you and your family. Listen to our Disney to or Polynesian Village Resort TIPS show and Disney Trip Report. 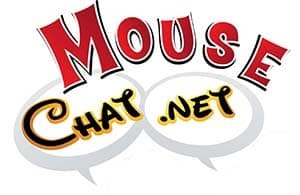 Click Play below, or download Mouse Chat on iTunes. Disney FastPass+ – Wait times seem to be going up in the normal ride lines and also in the FastPass+ lines. We experienced Fastpass+ wait times up to 30 minutes. Sure that’s better than 60 minutes in the regular line, but FastPass+ wait times are now approaching what standard wait time use to be in some cases. Walt Disney World Quick Service Dining Plan – The Disney Dining Plan worked out well for our Disney World Vacation. We had on making meals in our room but the transportation time there and back ended up being too long. So the Quick Service Disney Dining Plan fit our vacation perfectly. Disney’s Grand Floridian SPA Review – Sharpee goes to the Disney’s Grand Floridian Spa for a couples massage. The spa was wonderful. You really have to listen to the Grand Floridian Spa review on this weeks show. Sharpee goes into it all. Disney Kidani Village – Sharpee also stayed at Disney’s Kidani Village and a key thing to know if you have never been is that the rooms are a long long ways away from the lobby in most cases. But the resort is amazing and it’s well worth the walk. Garden Grill at EPCOT – Now will be open for breakfast and lunch. You can start booking this now for November 8, 2015 and forward vacations. Disney Cruise Line Character Signature Service No More – In the past you could bring an item to the front desk on Disney Cruise Line and they would have the Disney characters sign it and then return it to your room. This perk has been discontinued. Another great podcast! Enjoyed Sharpee’s field report on the Poly and spa day at the Grand. 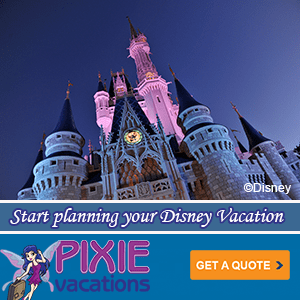 You mentioned your services, and I was curious if there were any advantages for DVC members utilizing Pixie Vacations? Thank you again for the great podcast. Thanks for the comments. Yeah Sharpee had a great time at Walt Disney World and the new Polynesian Village Resort updates make it pretty nice. We have a great deal of DVC members that book Disney Cruise Line, Disneyland, Adventures by Disney, and pre and post Walt Disney World stays with Pixie Vacations. Also Park tickets. And of course sometimes guests decide to take a non-Disney vacation and we help with those too. One of the best shows I’ve listened to. You guys really have something special going on. Keep up the good work. We find it difficult to cover Disney and still keep it fun and entertaining at times. Finding a good mix can be hard. Glad to hear this show was a hit. I’m curious as to where you waited for 30 minutes in a FP+ queue. Was just there last week and also Father’s Day weekend and with FP+ at every E ticket as well as other headliners, we never waited nearly that long. Even in the Soarin’ queue, at most we had 15 minutes from the entrance to the FP+ queue until we took off. Also, as an English major it is a pet peeve of mine to see published work with grammatical and spelling errors. Your first sentence has a grammatical error and you claim to be somewhat of an authority on Disney or you wouldn’t have a podcast and website. As an authority, it might be beneficial to know that the resort is spelled Kidani with an “I”, not Kadani with an “A”. You are not helping the Disney community nor the travel agent community without double-checking yourself. I think it was the FastPass+ Kiosk to get additional FastPasses that had the long lines, not the rides fastpass+ ques. The line can also vary depending on the season and time of day, so hopefully the kiosk lines for those not using the app are shorter now. Thanks Tony for the spelling corrections also. My spelling is horrible and often I read things over and over and still don’t see the mistakes for some reason. I’ll go back into this post and make the corrections. I get that it’s your website but to remove my comment is not only childish, it shows the type of person you are and the type of professional tact you lack. I don’t see any comments that were removed. If you can please repost your comment we will be sure to share it with others.